Heirlooms are treasures passed down through the generations. Meals are moments when family and friends gather around food. 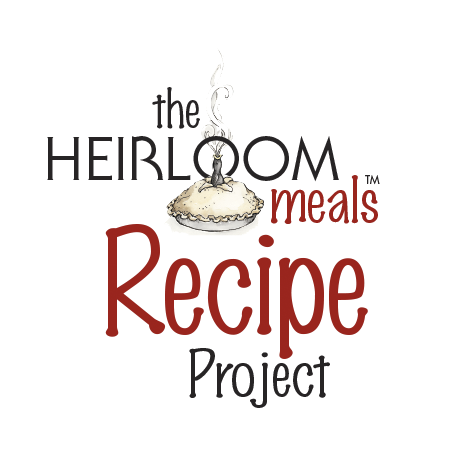 Heirloom Meals celebrates treasured family recipes, stories and tips! We walk down food memory lane and explore what food(s) and recipe(s) remind you of home. We explore how food memories often inform who you are and how you eat and cook today. - the bond of love that food creates. - how food connects us to our past and is the bridge to our future. - how the past is often prologue. - how the wisdom of our ancestors' kitchens are worth preserving, exploring, and reviving. - how to honor any and all food memories, from great to bad. They are all valued as they are your memories. I honor them, explore them, and celebrate them. I am a storyteller. Your storyteller. I help tell your story through the lens of your food memories. So come on in. Make yourself at home. I've got a few stories to share. 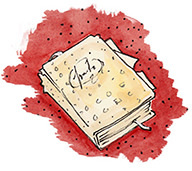 And recipes - old, newly concocted and curated. And, then there's my story as a daughter, wife, stepmom, and person. I hope you'll want to add yours to the mix!! And remember, our memories are really our heirlooms, forever. Let me help you keep them alive. Let's spend some time together. I compiled an ebook with 14 simple and wonderful soup recipes. Some are mine, others are from radio show guests or friends. Sign up for our email newsletter and receive: The Heirloom Soup Recipes ebook. And then, email me and tell me about your best food memories. I am so excited to get to know you!! American Public Television (PBS) would like to see Heirloom Meals as a weekly special. If you are interested in learning how to become a sponsor, please email us. We are full of thanks and gratitude for the support that these companies have provided to Heirloom Meals. I have designed an amazing eight-week program that will result in a gorgeous hard-bound color heirloom family cookbook. It's a fun, emotional, and beautiful process. When it comes down to it, it's really all about love! To learn more, click the icon above. We have workshops starting every 2 months, or you can customize your start time.